RLPB 434. November Update, Incl. Nigeria, Burma, India, Iraq, Iran, Pakistan. 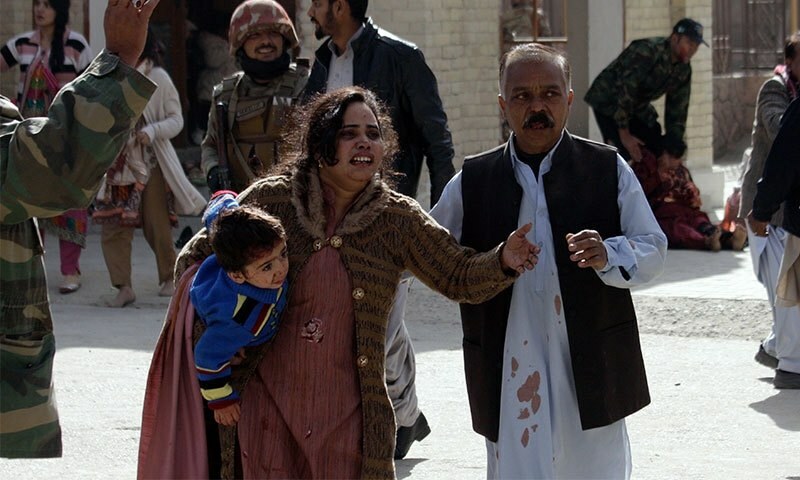 members of her family in the attack. 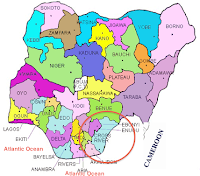 * NIGERIA (RLPB 431), where, after another spat of Fulani violence, a coalition of 25 ethnic nationalities in Plateau State had demanded the State Assembly initiate a bill against open grazing. On 8 November, Jubilee Campaign published a report by Stephanos Foundation which included photos and interviews with survivors of the 16 October attack in Bassa Local Government Area (LGA). 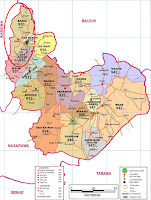 BENUE: On 14 November World Watch Research released a report on Fulani violence in Benue State. The report, sponsored by Open Doors International and Voice of the Martyrs Canada, catalogues the crimes committed against Christians by Hausa-Fulani herdsmen between January 2014 and August 2017. 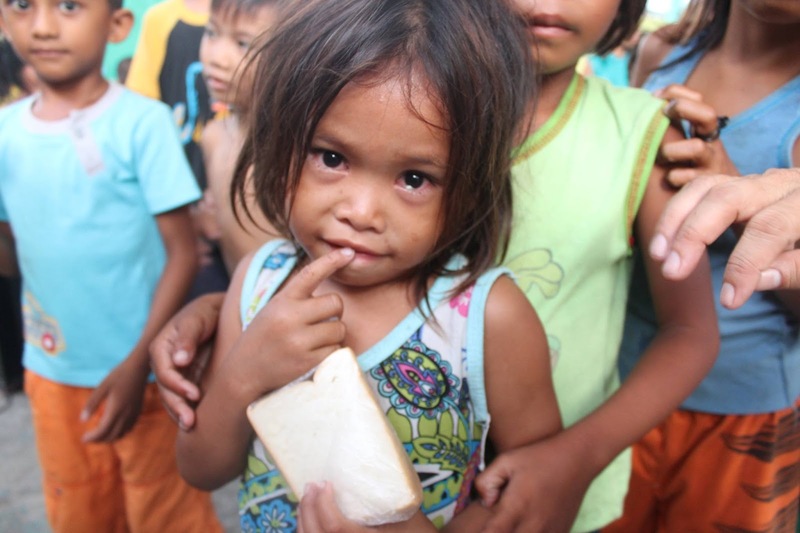 With more than 4,200 killed, more than 3,000 injured, more than 30 churches destroyed and some 100,000 people displaced, the report concludes that the violence amounts to ethnic cleansing. Benue enacted anti-open grazing laws on 1 November. The Miyetti Allah Cattle Breeders Association of Nigeria (MACBAN) has protested and appealed for federal government intervention. In response, Benue lawmakers have appealed directly to President Buhari, requesting he support the Anti-Open Grazing Law to put an end to the 'carnage and massive destruction' being caused by 'heartless terrorists operating under the cover of Fulani herdsmen'. * CHINA (RLPB 432), where it was reported Christian human rights lawyer and religious liberty advocate Gao Zhisheng -- missing since 13 August -- had finally been located. According to local sources, state security services are holding Gao in a secret prison in Shaanxi Province, in solitary confinement and in total darkness. 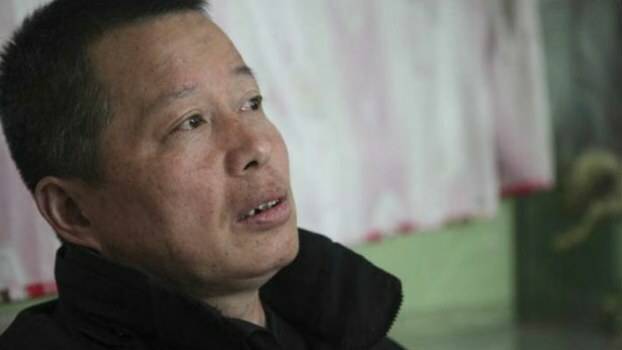 Gao Zhisheng is one of many Christians currently being punished for criticising the repressive and violent policies of the Chinese Communist Party (CCP). What makes his case so significant is that Gao is recognised and respected internationally. Gao is thus a test case: if Gao is not safe then no Chinese human rights or religious liberty advocate is safe. 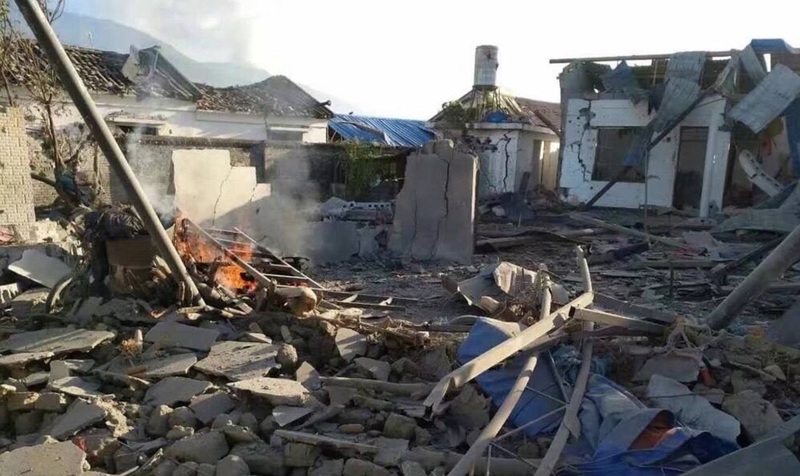 * BURMA (RLPB 433), where ethnic Kachin pastor Dumdaw Nawng Lat (67) of the Mong Ko Kachin Baptist Church and his nephew, youth pastor Langjaw Gam Seng (35), have been sentenced to prison as punishment for exposing the Burmese military's destruction of Mong Ko town. The Kachin Baptist Convention is preparing to appeal. run by the Kachin Baptist Convention. 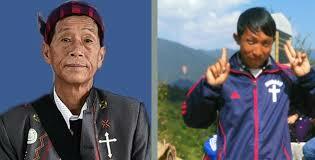 The Kachin are a Christian people. 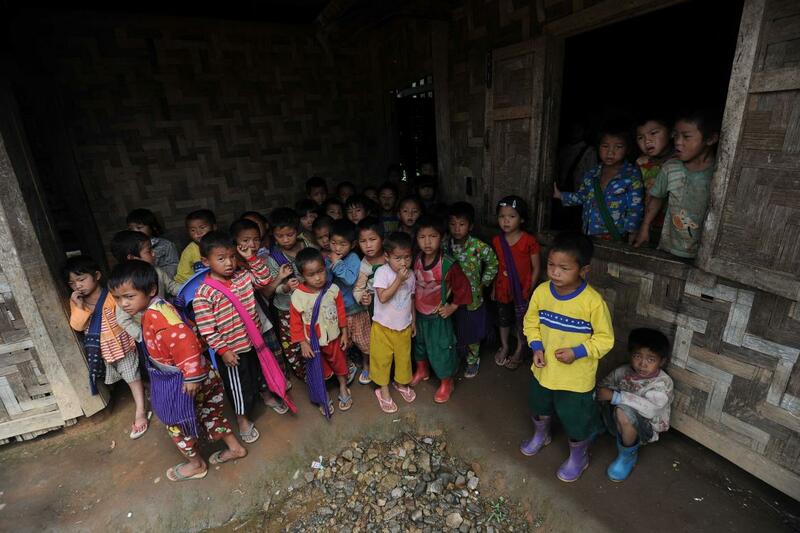 UPDATE on KACHIN IDPs: According to a report by the United Nations Office for the Coordination of Humanitarian Affairs (September 2017), almost 100,000 ethnic Kachin are currently displaced: more than 89,000 in 146 camps throughout Kachin State and more than 9,400 in 33 camps in neighbouring northern Shan State [where Mong Ko is located]. Elections for a new State Assembly will be held in Gujarat on Saturday 9 and Thursday 14 December, with the result to be announced on Monday 18 December. 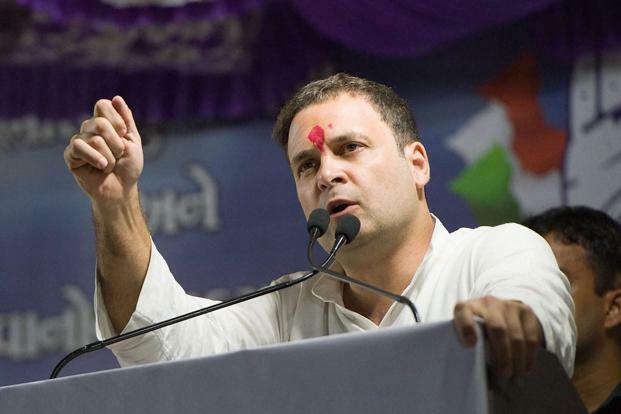 Though the Hindu nationalist Bharatiya Janata Party (BJP) has governed Gujarat since 1989, polls indicate that the Congress Party is closing in and that it will be a tight race. On 21 November the Archbishop of Gandhinagar, Rev Thomas Macwan (65) issued a letter to the state's Catholics exhorting them to pray. 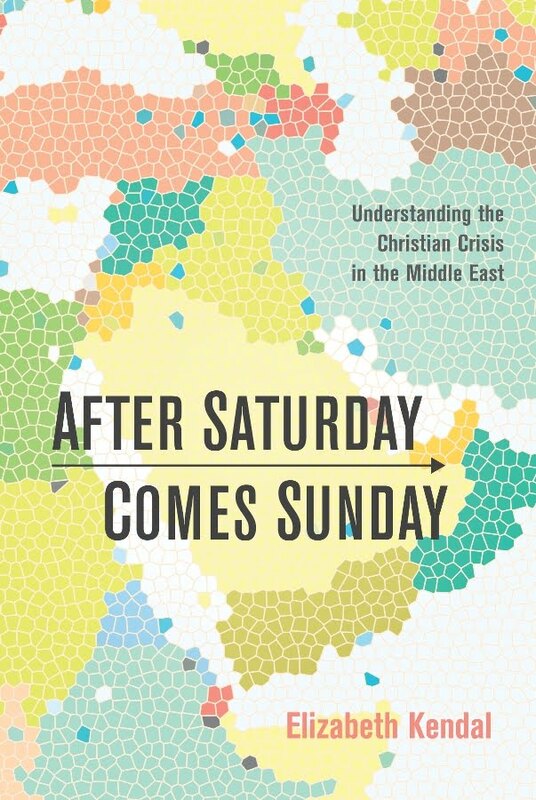 'Not a single day goes without an attack on our churches, faithful or institutions,' he wrote. 'Pray ... we may have such people elected in the Gujarat State Assembly who will remain faithful to our Indian Constitution and respect every human being without any sort of discrimination.' 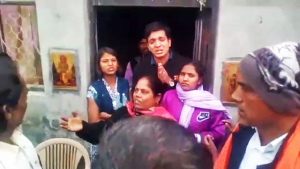 Hindu nationalists then accused the Archbishop of seeking to 'generate fear' and 'divide people on the basis of caste and creed', and demanded 'immediate action'. 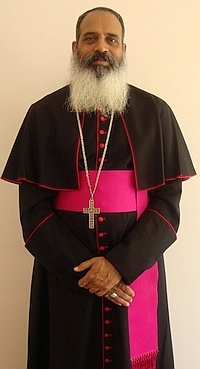 On 25 November, the Election Commission issued the Archbishop with a notice asking him to explain why his letter should not be viewed as a violation of the Model Code of Conduct. The Archbishop reiterated that he was merely calling his people to pray for 'humane leaders faithful to the Constitution'. Hindu nationalist zeal will surely escalate in the lead-up to the polls. Pray for India, for her longsuffering persecuted Church and for the elections in Gujarat. Kurdistan Regional Government (KRG) President Massoud Barzani's 25 September referendum on Kurdish independence backfired spectacularly. After brokering a deal with Kurdish opposition leader Jalal Talabani, Baghdad -- with support from Iran (and no resistance from Talibani forces) -- seized oil-rich Kirkuk from Barzani's forces in a blitzkrieg. On 1 November Barzani stepped down from the presidency. Tensions are high across the 'disputed areas', including the Nineveh Plains, as Kurdish and Iraqi forces, backed by Shi'ite militias (many led by Iranians), fight for control of territory. On 24 October clashes in the Assyrian town of Teleskuf forced hundreds of recently returned Assyrian Christians to flee their town yet again. The first stage of the Battle for Mesopotamia involved the crushing of the minorities by proxy forces. The next stage, developing now, will see the powers clash as they seek to establish their presence on the ground. The biggest winner in the Kurdish fiasco has been Iran, which has consolidated its military control in Kirkuk and its presence in Northern Iraq. Long-time religious liberty advocate Nina Shea reports that 'Iran is aggressively establishing schools and mosques and libraries and other structures within the main Christian towns'. For the Assyrian remnant, their very survival as a people is at stake. Pray for the Assyrians; may God intervene to help them. In May, Persian convert Naser Navard Gol-Tapeh and three Azerbaijanis were sentenced to ten years in jail for 'missionary activities' and 'conducting activities against national security'. Whilst the Azerbaijanis were permitted to return home after posting bail, Naser Navard Gol-Tapeh (an Iranian national) was sent to prison. On 12 November an Iranian court upheld all four 10-year sentences; Naser Navard Gol-Tapeh will remain in prison. Pray for Naser and for all Iran's Christian prisoners. protesting 'blasphemy' - Nov 2017. On 25 November the government of Pakistan capitulated to Islamic fundamentalists whose 'sit-in' had paralysed Islamabad for 20 days. 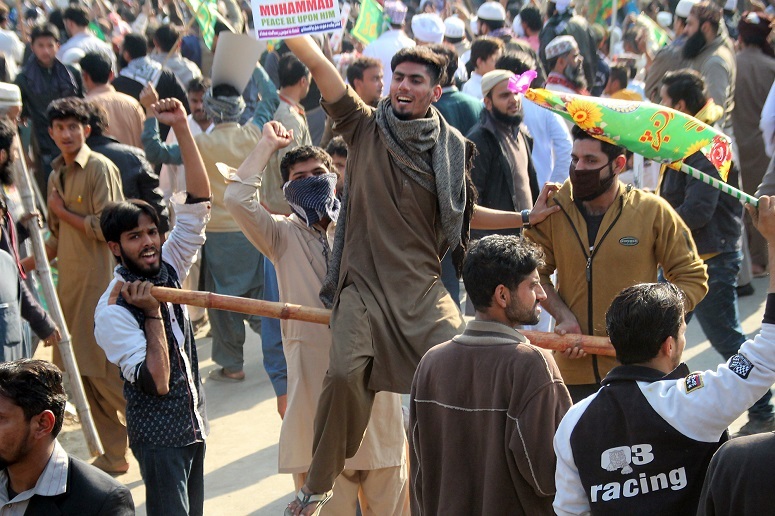 Claiming anti-blasphemy indignation as a pretext, the 'sit-in' -- which attracted some 2000 Muslims daily -- was led by Allama Khadim Hussain Rizvi, the leader of the Tehreek-e-Labaik, an Islamist political party which advocates for a pure Islamic State governed by Islamic Sharia Law. Whilst the issues are far too complex to explain in a paragraph, it is enough to say that Rizvi has been playing the religion card for political gain, to raise Tehreek-e-Labaik's profile ahead of Pakistan's 2018 general elections. Having forced the government to capitulate to their primary demand -- the resignation of Law Minister Zahid Hamid, whom they mischievously accused of blasphemy -- Rizvi and Tehreek-e-Labaik have emerged from the 'sit-in' victorious and greatly empowered. In this context it must be noted that other demands had included the immediate execution of Asia Bibi. 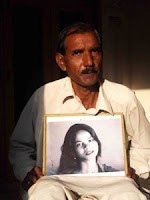 Pray for the Church in Pakistan. Burma's human rights issues revolve around the unchecked power of a politically active military which is, at its core, ethnic Burmese and Buddhist supremacist. 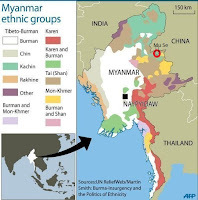 When the policies of the central government clash with the aspirations of Burma's ethnic peoples, the military enforces government policy with the extreme violence one would expect of soldiers consumed with ethno-religious hatred and confident of impunity. This is precisely why Burma's non-Burmese, non-Buddhist peoples refuse to disarm and for this they are deemed insurgents and enemies of the state. 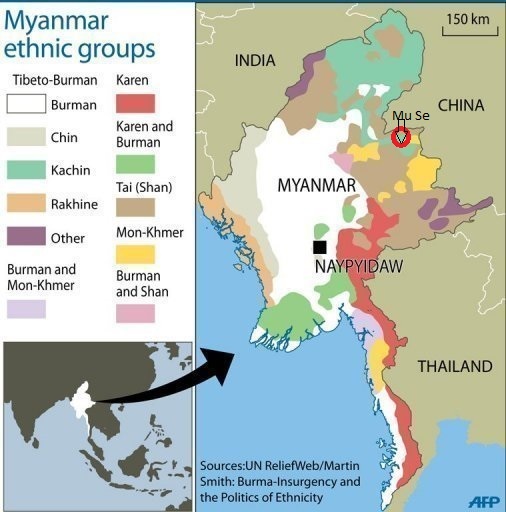 On 20 November 2016 clashes erupted between the Northern Alliance (a coalition of four ethnic armed groups) and the Burmese military in Mong Ko town, Mu Se District, on the Burma-China border in northern Shan State. Burma Air Force fighter jets targeted churches, schools and homes until the Northern Alliance withdrew on 4 Dec 2016. Then the Burma Army moved in, torching properties and farmlands. Despite Mong Ko being closed off and subjected to a news blackout, ethnic Kachin pastor Dumdaw Nawng Lat (67) of the Mong Ko Kachin Baptist Church, and his nephew, youth pastor Langjaw Gam Seng (35) -- both of the Kachin Baptist Convention (KBC) -- courageously helped journalists gain access to the town so they could document the destruction. When the reports and photos subsequently hit the press, the Burmese military determined to punish the pastors in a way that would deter any other would-be human rights advocates. The Irrawaddy, 5 Dec 2016. Burma News International, 15 December 2016. On 24 December 2016 the Burmese military ambushed and abducted Nawng Lat and Gam Seng [RLPB 391 (25 Jan 2017)]. 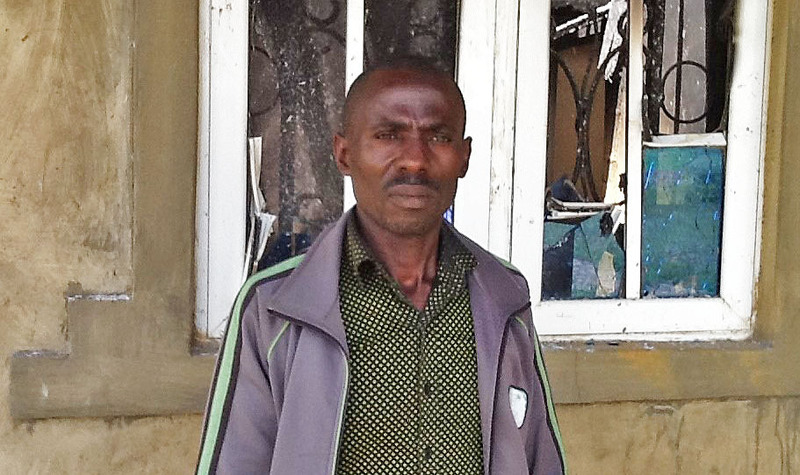 The pastors spent the next three weeks illegally and secretly detained in Kalaya 123 military base in Nampaka township, northern Shan State, being repeatedly interrogated. After an international outcry over the pastors' disappearance, the military confessed on 19 January that it was indeed holding the two men whom they accused of recruiting and spying for the Kachin Independence Army (KIA). The KBC demanded the military hand the pastors over to police, which it did. However, it also handed over their 'confessions' signed under severe duress. The police then charged the pastors with 'unlawful association' with the KIA. Major Kyaw Zin Tun of Brigade 99 acted as plaintiff and filed the complaints at the Muse Township Court. Further to this, Muse police chief and captain Aye Myint charged the pastors with possession of unlicenced motorcycles. The case was initially investigated in Muse township court before being transferred 174km south to Lashio, a four-and-half-hours drive away. In June, Nawng Lat's wife told Morning Star News that conditions were bad and her husband's health was deteriorating [RLPB 412 (27 June)]. On Friday 27 October Nawng Lat and Gam Seng appeared in Lashio District Court in northern Shan State to hear the verdict. 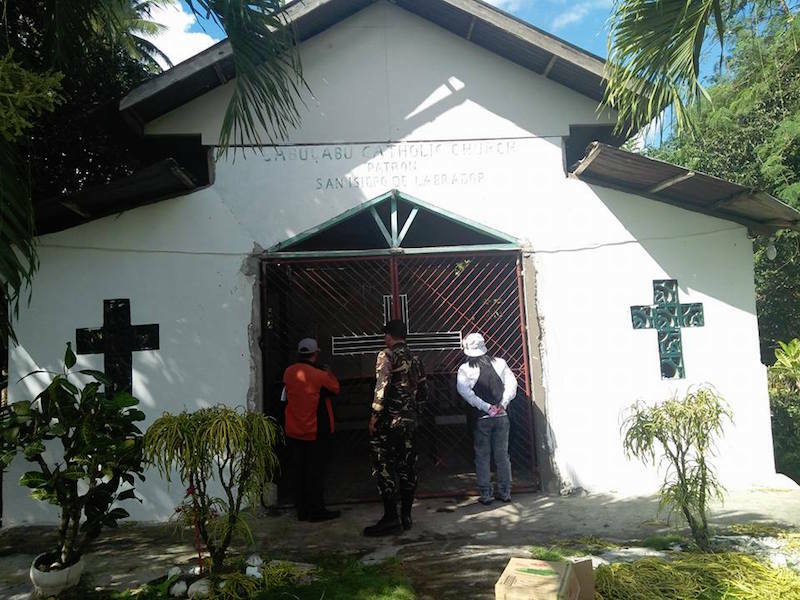 The pastors were found guilty of all charges and convicted under the oft-exploited Unlawful Associations Act section 17(1) and the Export and Import Law section 8. The court was tightly controlled,with journalists banned from taking photos of the accused outside the court. Pastor Dumdaw Nawng Lat (who is also the chairman of the KBC) was sentenced to four years and three months imprisonment: two years with hard labour for unlawful association, two years for criminal defamation under Penal Code section 500 for having 'defamed' the Burmese military in an interview, and three months under the Export Import Law. Youth Pastor Langjaw Gam Seng was sentenced to two years and three months imprisonment: two years with hard labour for unlawful association and three months under section 8 of the Export Import Law. The only evidence presented against the pastors were their 'confessions' signed under severe duress while in military detention. Human Rights Watch has called for the verdicts to be quashed and for the two pastors to be released immediately. As David Baulk, Myanmar Human Rights Specialist with Fortify Rights noted: 'Today's verdict is another reminder that in Myanmar, human rights defenders have a choice: silence or a sentence.' Reverend Hkalam Samson, general secretary of the KBC, said the KBC will appeal the verdict. * intervene in the appeal process, to provide guidance, wisdom and clarity to the defence, as well as courage to the judge, so that justice will prevail. * bless, protect and sustain Burma's Christians, most of whom belong to persecuted ethnic minorities. May the Lord Jesus Christ continue to build his Church in Burma, and may the Holy Spirit enable a breakthrough with the Burmese-Buddhist majority. On 27 October, ethnic Kachin pastor Dumdaw Nawng Lat (67) and his nephew youth pastor Langjaw Gam Seng (35) -- both members of the Kachin Baptist Convention (KBC) -- were sentenced to two years' prison with hard labour for 'unlawful association' with the Kachin Independence Army (KIA), plus three months for possessing unregistered motorcycles. Nawng Lat received an extra two years for 'defaming' the Burmese military. Accused of recruiting and spying for the KIA, all they had done was help reporters gain access to Mong Ko town so they could document the destruction wrought by the Burmese military. The only evidence presented against the pastors were their 'confessions' signed under severe duress whilst in military detention. The KBC will appeal the verdict. Please pray for these pastors, for Burma and its Christians. In 2001, the Chinese Ministry of Justice officially recognised committed Christian human rights attorney, Gao Zhisheng, as 'one of China's top ten lawyers'. Eventually, however, Gao's ardent defence of the oppressed and persecuted, as well as open letters protesting Chinese Communist Party (CCP) policy and practice, saw him fall foul of the system. Stripped of his lawyer's licence, Gao was first imprisoned in 2006. Since then he has been in and out of prison, forcibly 'disappeared', beaten and brutally tortured, held for extended times in solitary confinement, isolated and denied access to medical care -- all because he refuses to be silenced. In 2009, Gao's wife and children escaped to the US. Content in the knowledge that his family is safe, Gao has steadfastly refused to leave China; for he is convinced that God has called him to 'bear his cross' inside China. 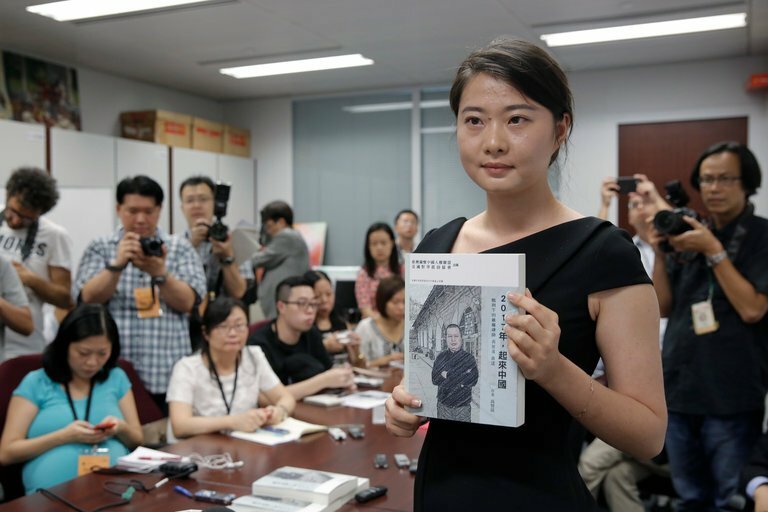 Hong Kong with her father’s book, June 2016. On 3 November China Aid Association (CAA) revealed that Gao had escaped from his government minders with the assistance of two friends who had been desperate to get him medical care. Though they managed to evade the authorities for 23 days, the large contingent of officers deployed to find him eventually succeeded. Gao was quickly 'disappeared' into secret detention while his friends -- Shao Zhongguo and Li Fawang -- were both arrested. Whilst Shao has not been seen since, Li (a diabetic) has been released, albeit not before suffering a bout of cruel punishment. On 12 November Radio Free Asia (RFA) reported that the Gao Zhisheng Lawyers' Concern Group had managed to locate Gao. According to the group, Gao is being held in a secret prison in Shaanxi Province in solitary confinement, in total darkness and denied access to medical care. In a smuggled sound-bite delivered to RFA, Gao said the conditions are even worse than those he experienced in Shaya Prison, Xinjiang (2011-2014). He said he feels like he is confined in an 'infinite darkness'. His supporters fear for his life. Gao Zhisheng’s memoir was published in Taiwan in Chinese in June 2016, and in the US in English in January 2017. * intervene to ensure Gao's writings are not only spread and read far and wide, but that they will have the desired impact; may they facilitate change in China. * intervene to facilitate the release of Gao Zhishang and all China's abused and incarcerated human rights defenders. * may his cell become a sanctuary, i.e. miqdas (Hebrew) a place where God dwells (from Isaiah 8: 11-15). When Gao Zhisheng, committed Christian human rights attorney and religious liberty advocate, emerged from three years' secret detention in August 2014, many surmised he was 'utterly destroyed'. Confined to house arrest and denied access to medical care, Gao (who has survived appalling torture) could have withered and died, but he did not -- he recovered. Despite intensive supervision, Gao wrote both a memoir and a 40-page report on human rights in China. These secret writings were smuggled out and have since been published. On 13 August Gao 'disappeared'. Recently Gao's supporters discovered that he is being held in a secret prison in Shaanxi Province, in solitary confinement, in total darkness and denied access to medical care. They fear for his life. 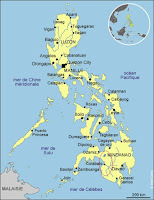 Please pray for Gao and for China and its Church. In the early hours of Monday 16 October, ethnic Fulani Muslim cattle herders dressed in military fatigues stormed the mostly Christian, ethnic Irigwe village of Nkyie Doghwro in Bassa Local Government Area (LGA), in the north of Plateau State. Knowing that an attack was imminent, the villagers had requested extra security from the Special Task Force soldiers based nearby. The soldiers disarmed the residents and gathered them into in a schoolroom where they were to sleep under the protection of military personnel from Operation Safe Haven. However, when the Fulani invaded, the soldiers withdrew, leaving the residents defenceless. Christians have accused the military of complicity in the massacre which claimed 29 lives [graphic image] and emptied the village. The military denies this, claiming the soldiers were simply overwhelmed (an equally disturbing, though highly unlikely, proposition). In Bassa LGA alone, over the course of five weeks, numerous attacks targeting two indigenous Irigwe communities, left 72 villagers dead, 23 injured, 489 houses burnt and 13,726 mostly Christian Irigwe displaced out of a population of 80,000. 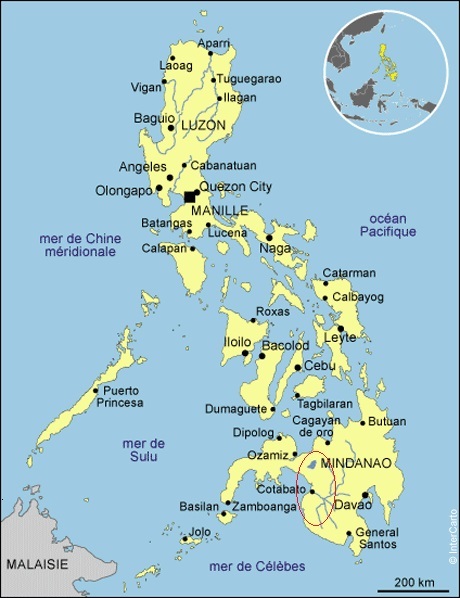 The attacks continued despite a government imposed curfew. On 19 October the Nigerian Air Force announced it had deployed troops, fighter aircraft and attack helicopters to Jos, Plateau State, to join the military efforts in curtailing the violence, in particular to 'prevent reprisals from the natives'. In the face of escalating violence in Plateau, a coalition of 25 ethnic nationalities has given the Plateau State House of Assembly two weeks to initiate a bill against open grazing and six months for it to be passed into law. Such a law would mandate that cattle be raised in ranches and banned from grazing on the gardens and crops of indigenes. Other states with Anti-Open Grazing laws are Middle Belt states Benue (law enacted 1 November) and Taraba (law to be enacted in January 2018). Whilst Anti-Open Grazing laws could go a long way towards curtailing the crisis, Fulani violence is about more than feeding livestock. While the Bible mandates Christians spread the Good News that God reconciles sinners to himself through Jesus Christ, Islam mandates Muslims expand the territory under Allah's rule (i.e., under Islamic Sharia Law -- a political mandate). Forced out by the ever-encroaching desert, the traditionally nomadic Fulani cattle herders migrate south in search of food and water for their livestock. These Fulani are then exploited by jihadists and other Islamists -- including those in the military and in the government -- who use them as proxies in an Islamic jihad to expand Muslim territory at the expense of Christians. This is why they routinely attack with high-powered automatic weapons, and wear bullet-proof vests and military fatigues. It is also why they are virtually never caught and never brought to book. Many suspect they also are supported by Islamists at the highest levels of government. Banning open grazing would actually eliminate one of the Islamisation strategies. 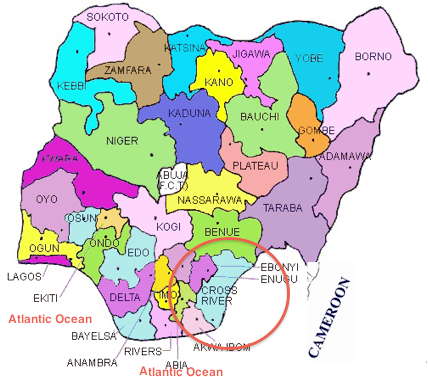 Whilst the most recent violence has occurred in Plateau, Fulani expansion is certainly not limited to Plateau. Speaking at a forum on 30 October, former head of state General Abdulsalami Abubakar released some grim statistics. In 2016, Fulani cattle herders killed 2,500 and displaced 62,000 mostly Christian indigenes in Plateau, Kaduna, Nasarawa and Benue alone. Human rights advocates and Christian leaders have criticised President Muhammadu Buhari (a Fulani Muslim from the north) for his silence over the crisis. They also question why, on 16 October, the United Nations rewarded the Buhari government by re-electing it to the UN Human Rights Council. * bless and supply the Bible Colleges that are training Fulani converts and other evangelists to work amongst Nigeria's Muslims. Fulani are coming to faith in Christ! May the Lord continue to build his Church in Northern Nigeria. 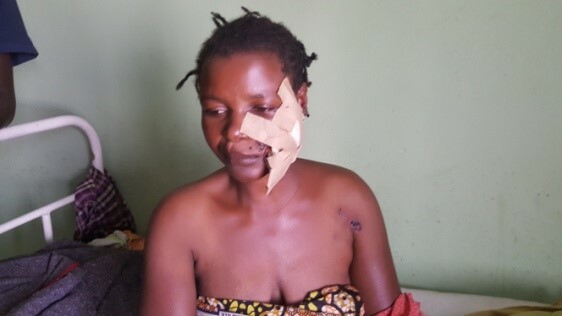 Attacks by ethnic Fulani Muslim cattle herders on mostly Christian, indigenous villages in Nigeria's volatile Middle Belt have escalated markedly. During the first two weeks of October, attacks in Plateau State occurred almost daily, despite a government-imposed curfew and the presence of Nigerian troops. 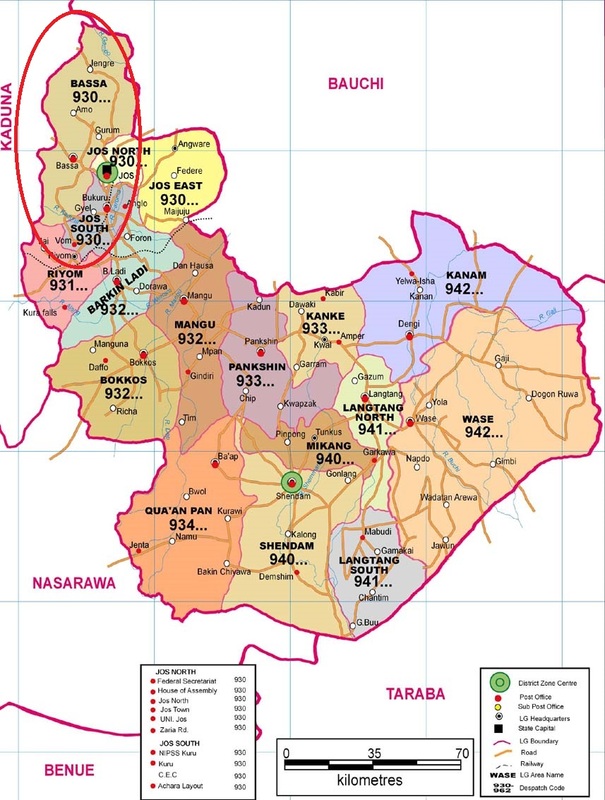 In Bassa Local Government Area alone, 72 villagers were killed and 23 injured, 489 houses were burnt and 13,726 mostly Christian Irigwe were displaced, from a population of 80,000. Emptied villages were subsequently occupied by Fulani Muslim settlers from the north. Whilst the traditionally nomadic Fulani are genuinely seeking food and water for their cattle, they are being armed and used as proxies by jihadists and other Islamists in a jihad to expand Muslim territory at the expense of Christians. Please pray for Nigeria and its Christians. See: Critical Prayer Requests (CPR) for states where Christians are persecuted and/or religious liberty is threatened. For centuries Russia was known as a country persecuting people who chose to believe differently from what was prescribed by the ruling authorities. Being officially a Christian country for over 1000 years, for centuries it persecuted Old-believers who refused to accept the reforms introduced by the Russian Orthodox Church. Some Protestant confessions (like Baptists), spreading quickly during spiritual revival, were considered 'dangerous sects' and were severely persecuted by the State in the 19th Century. The leaders of the Russian Orthodox Church co-operated with the authorities in persecuting the sects. After the Russian Revolution in 1917, atheism was propagated at all levels, all religions were persecuted and many church leaders died as martyrs or spent decades in prison and labour camps. After the collapse of the communist ideology and the dissolution of the Soviet Union in 1991, there was a short period of religious freedom and a big spiritual revival all across its former republics. Many people accepted Christ and were added to his Church. Even during that period of religious freedom, the new Protestant Churches experienced a lot of pressure and restrictions on their activities, especially evangelism and mission work. In 1997, a law on religion brought more restrictions and its preamble recognised the 'special contribution' of Russian Orthodoxy. Since then, religious freedom gradually worsened. In July 2016, the so-called Yarovaya Law, a package of counter-terrorism measures, was signed into law by President Putin. These counter-terrorism measures include prohibition of any mission activity outside church premises or other sites designated for religious purposes. Missionary activity is defined as: 'The activity of a religious association, aimed at disseminating information about its beliefs among people who are not participants (members, followers) in that religious association, with the purpose of involving these people as participants (members, followers). It is carried out directly by religious associations or by citizens and/or legal entities authorised by them, publicly, with the help of the media, the internet or other lawful means." (Forum 18, 8 July, 2016). Put simply, it bans any evangelism and missionary work and directly affects about three million Protestant Christians in Russia as well as believers of other religions. In August 2017, Forum 18 published a list of 193 cases of 'anti-missionary' punishment of individuals and religious communities since the Yarovaya Law came into force. The list includes Jehovah Witnesses, Muslims, Krishnaites and others. However, Protestant believers and churches are the majority of the list. The authorities seem to make the most active churches and their leaders the targets of persecution in their 'anti-missionary' attacks. A good example is the Evangelical Christian Church of Jesus Christ in Nizhny Tagil, which has had numerous raids and four cases opened against it under the Yarovaya Law. * changes in Russian legislation for religious freedom. * the Russian Orthodox Church to accept the right of freedom of belief for Russian people and not see other Christian denominations as a threat. 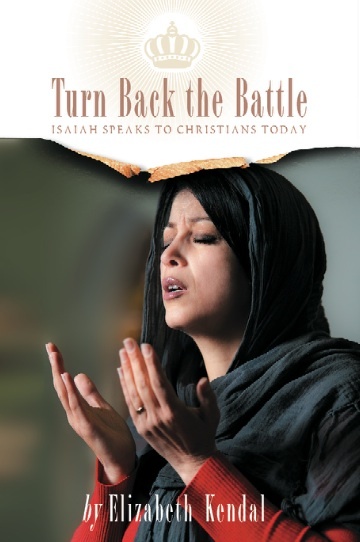 * courage, wisdom and unity among other Christian Church leaders as they are targeted with persecution for the Gospel. * the teachings of Christ to continue spreading in Russia and change the country and people's lives for God's glory. Although Russia was officially Christian for over 1000 years, some Protestant groups were considered 'dangerous sects' and were severely persecuted by the State in the 19th Century. After the Russian Revolution in 1917, atheism was propagated, all religions were persecuted and many church leaders were martyred or spent decades in labour camps. After the dissolution of the Soviet Union in 1991, there was a short period of religious freedom and a spiritual revival across its former republics. Many people accepted Christ. However, Protestant Churches experienced restrictions on their outreach. In 1997, further restrictions resulted in religious freedom worsening. A package of Kremlin counter-terrorism measures enacted in July 2016 included prohibition of any outreach activity outside church premises. 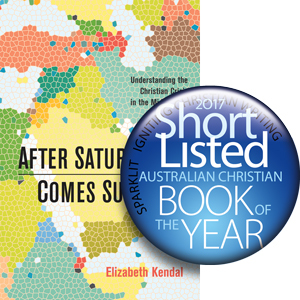 This particularly affects three million Protestant Christians. Please pray for Russia and its Church. Anneta Vyssotskaia, a Russian who is a religious liberty expert on Russia and Central Asia, is a guest contributor to the RLPB ministry. She is filling for Elizabeth Kendal who is currently on leave.